When you love the experience of going to a loud, energy-filled concert, you might want to replicate it in the privacy and comfort of your own home. 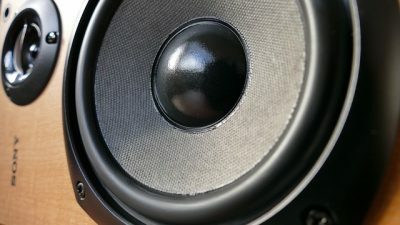 However, if you are not familiar with the components of a home music surround sound system, you might wonder what considerations to keep in mind during the buying process. These tips can help you find and buy a sound system for your home in 2018. 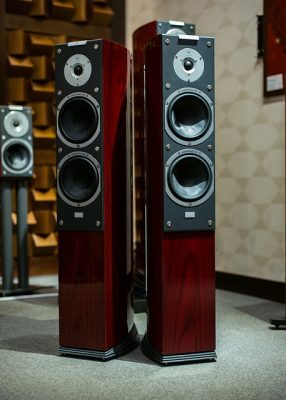 Perhaps the most important factor to keep in mind when you are shopping for a music surround sound system for your home is how much you want to spend on it. Your budget will be one of the most important criteria in what kind of system you ultimately look for and buy. If you have no idea how much these systems cost, it is best that you do some preliminary research either by going online or calling your local electronics store for pricing. Once you know how much the average system costs, you can then either save and set aside the money for it or figure out another way to finance the purchase. These systems range in price from very reasonable and low cost to extravagant and top dollar. You need to figure out how much you really want to spend on the purchase before you head out and start looking for one for your home. Another factor to keep in mind is how comfortable you will be when it comes to setting up the sound system in your home. These systems come with multitudes of wires and connections that all must be hooked up correctly in order for them to work. Further, you have to install the speakers at the ideal height on your ceiling or walls to get the experience you want when listening to music. If you are a complete novice when it comes to hooking up electronics, you might want to be on the lookout for a system that is user-friendly and easy to connect. You also may want to ensure it has plenty of instructions that tell you what to do as well as online resources you can access if you have questions or concerns. By taking the logistics of installing the system into consideration, you avoid buying one that is too complex for you to install. You will find one that walks you through the installation process so you can start enjoying it right away. Finally, you need to ask yourself if you want to customize your own surround sound system or if you want one that is prepackaged and ready to go right out of the box. If you are technologically advanced and familiar with all of the components of a surround sound system, you may want to customize yours so you get the acoustics and sound quality you want from it. However, if this is going to be your first system that you have ever owned, you may want one that comes boxed and ready for you to use. Most boxed sets have everything you need in them. They come complete with all of the wires, speakers, connections, and other hardware that is required to set up the system. These factors may come into play as you are shopping for a surround sound system on which to listen to music in your home. They help you narrow your search and find systems that will ultimately be an asset to you. They also help you avoid overspending your budget or buying a system that you cannot figure out how to install on your own.